← Rangers Interim Results – Everyone at Ibrox is Very Happy – What About Asset Revaluation? The BBC reported last night that Dunfermline Athletic “could be out of business within three weeks”. Dunfermline has not had its troubles to seek this season. HMRC is “owed £134,000, with a payment due on Friday”. Its players have complained to the SFL about late payment of wages on more than one occasion this season. The SFA has issued a notice of complaint to Dunfermline for failing to pay Hamilton its share of gate money for a Scottish Cup tie on 2 February. “We haven’t got much time on our hands. It’s quite critical but some see light at the end of the tunnel. The survival of the football club is our only objective. “The share issued talked about by the current owner [Gavin Masterton] is not one we can support. We believe relevant information needs to made public. A good start would be the 2012 audited accounts. In light of the issues which have arisen from the Rangers administration and from Hearts travails, I thought I’d have a look at the Dunfermline structure. Is there some shift of assets which could take place to allow a rescue similar to that involving Rangers? The Dunfermline Athletic website shows that the team first played football in 1874. Dunfermline Athletic Football Club Ltd was incorporated in January 1921, almost 47 years into the team’s existence. The present board of the company is chaired by Gavin Masterton. Mr Masterton has a long history in Scottish financial circles, having had a senior role with the Bank of Scotland when the bank’s excessive lending was in full spate. 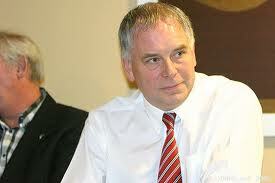 He was particularly connected to lending to companies involved in Scottish football, including the lending of many millions of pounds to Rangers and to Sir David Murray’s MIH organisation. 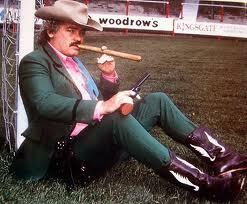 He has wound down his interests until Dunfermline is one of his few remaining roles. I note that he is reported as having said yesterday that he was intending to step down, but if his stepping down is connected with his planned share issue, it looks as if he might not get to leave as he wanted. A fellow director is John Yorkston, who has been on the Pars Board for many years, during highs and previous financial lows. At 6 foot 8 inches tall. Yorkston is the tallest club chairman in British football. He initially took up acting with limited success. 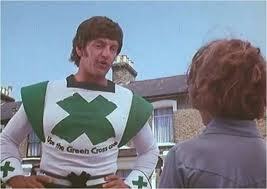 Keen to utilise his height to full effect he auditioned for and got down to the last two for the role of “The Green Cross Code Man” eventually losing out to Dave Prowse of Darth Vader fame. Or is this Mr Yorkston? Other unsuccessful auditions included the role as “Hunny Monster” alongside veteran comic actor Henry Magee. His biggest success as a thespian was in the role of “Herman Munster” in the Lochgelly Theatre Company’s pantomime hit “Munster Family Christmas” in 1982. A close friend of the comedian Bobby Davro it was Davro who suggested Yorkston leave his show business aspirations behind and become a civil servant a role which Davro thought he would be ideal for. Yorkston was becoming disillusioned with show business feeling he was being unfairly typecast due to his height and took the advice of one-time mentor and friend Davro and quit. His hobbies include golf, cricket and Scottish country dancing. Yorkston is honorary chairman of “The Friends of Stan” an “On The Buses” appreciation society and has one of the largest collections of memorabilia from the show. His most treasured item being a driver’s hat autographed by the show’s star Reg Varney. 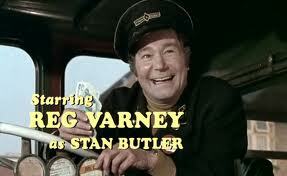 Reg Varney, who was, and this is true, the first person in Britain to use an ATM! The problem could be that the owner of 93.93% of the shares is Charlestown Holdings Ltd. That company has a Board containing, amongst others, Gavin Masterton and John Yorkston. Charlestown Holdings Ltd is owned 100% by Mr Masterton. £5.9m of the club’s debt is owed to Masterton’s company, East End Park Limited, which owns the East End Park stadium. He told BBC Scotland last month that Dunfermline Athletic has a 30-year lease on the stadium from the company and that it pays no rent or interest on it. You will notice that both Mr Masterton and the “club statement” refer to “the club”, both in terms of investment and nullification of his loan to “the club”. Whilst I do not want in this piece to re-open the club v company debate, the example of Rangers could be taken by Pars fans as a template for the “club” surviving, should the “holding company” (as it was incorrectly called in the Rangers scenario) fall into administration and possible liquidation. Dunfermline Athletic is a football entity which depends on the patience of its owner. Mr Masterton is now in a long tradition of football club owners who do it as a hobby, and often at great personal cost. If he chose to pull the plug, the Dunfermline Athletic Football Club Ltd would disappear. He has shown no sign of doing so, but his stark statement about the cash needed from issue of some of his shares, when combined with the reaction of fans’ rep Donald Adamson should ring warning bells. Presumably though one option would be for someone to by “the assets and business” of Dunfermline Athletic Football Club Ltd. That would not manage to replicate the Rangers issue – as the company is only a tenant of the ground. So might someone come out of the skies to rescue the company which owns the assets which make up the football club? Bearing in mind that Rangers this week announced, in SFL3, losses of £1 million per month, it might seem odd that an SFL1 team can be under £500k away from its demise (Which is NOT a call for Rangers to bail them out). Bearing in mind the economic mess the country is in just now, and the number of businesses of all types failing on a daily basis, it might actually seem surprising that no “football club” in Scotland has gone out of business since Gretna, especially as very few of the senior outfits in Scotland are profitable and I suspect that none of them pay a dividend to shareholders. It would be interesting to see how the Rangers fansites look at these issues. After all, some fans seem to be delighted about the SPL’s financial woes. But Dunfermline are not in the SPL and one wonders what blame, if any, the Rangers scenario has for their present situation. The economy is the culprit, one feels. can some one explain to me who played brechin fc in the challenge cup at the END of july 2012? who was the team that ‘rangers fc’ along with the other members of the SPL voted to accept or not into the SPL at BEGINNING of july 2012? also surely by allowing ‘rangers fc’ to vote for another ‘club’ to enter the league the SPL/SFA, in this act alone accepted that it was a different club? i mean this was all before nimmo smith came up with the seperate entity theory! why are we where we are now? i cant wait for the BS to flow when ‘rangers fc’ or indeed the rest of the club boards, dont get their own way vis-a-vis reconstruction. Masterton recently said at a meeting of fans: “The property we own at Pitreavie was on a 50-year lease but it will move to the charity, the Pars Trust. That will release quite a lot of money, we’re in the last lap of the le¬gal process, and should be completed within the next week. The 42 acre Pitreavie Playing Fields was gifted, by the Carnegie Dunfermline Trust to the local authority under very specific terms in 1962. It was to be used for the benefit of local sportsmen and women and not for the benefit of any company. There is a reversion clause that the Carnegie Dunfermline Trust can take the property back if the use is abused by the Council, who have leased part of the land to DAFC. Masterton is trying to get the lease extended and use the long lease as collateral with lenders. The previous lessee, David Murray did the same with his 50-year lease which he sold on to Vida Sports. The lease extension that Masterton sees as his answer to the taxman is being contested by me and is not a done deal by any means. Fife Council who are considering the lease extension are conflicted by having the Provost of Fife, Coucillor Jim Leishman an interested party in DAFC.